Hipsters. You either love us or roll your eyes at our artisanal… everything. But, there is no denying that we have the most unique insight into the quirkiest things to see, eat, drink, and do in any given destination. Big Ben, The London Eye, Buckingham Palace, Piccadilly, and The Shard – we all know and love London’s famed attractions. But to visit only London’s staple landmarks would be a big mistake. If you’re looking to go off the beaten tourist track and into the heart of London’s vibrant and quirky neighborhoods, it’s your perfectly curled, mustached friend that you should turn to. And, while vintage clothes, a lush beard, geometric tattoos, and round spectacles might help you fit in - they’re definitely not a prerequisite for checking out the capital’s coolest corners. With so much to do in the city, check out our alternative guide to traveling through London. Although the sound of traditional British cuisine might not inspire much excitement to adventurous palates, a culinary tour of London certainly does - when you know where to go. Beyond the capital’s plethora of Michelin starred restaurants, traditional pubs, and passé food trucks (even we hipsters are over these) are a few quirky eateries that demand a place on your London itinerary. I don’t know why Londoners are so obsessed with bubbles but I’m also not complaining. 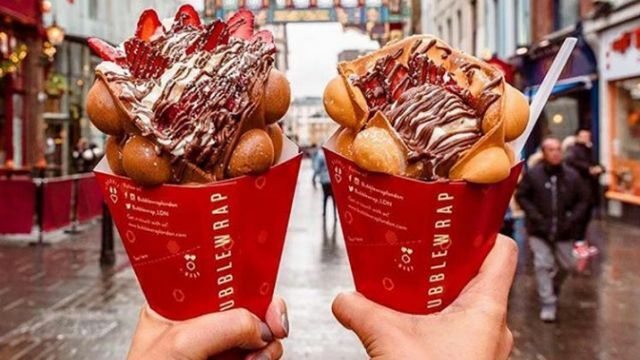 First, it was bubble tea and now it’s this bubbly Asian super-treat, the egg waffle. This Soho take on Hong Kong’s sumptuous dessert is the stuff of Instagram dreams and it’s delicious! The menu is always changing, but firm favorites such as the Avocado (obviously) Egg are ever present. Retro, colorful and downright hipster, this 80’s shrine to all things cereal should be at the top of your London dining experience. 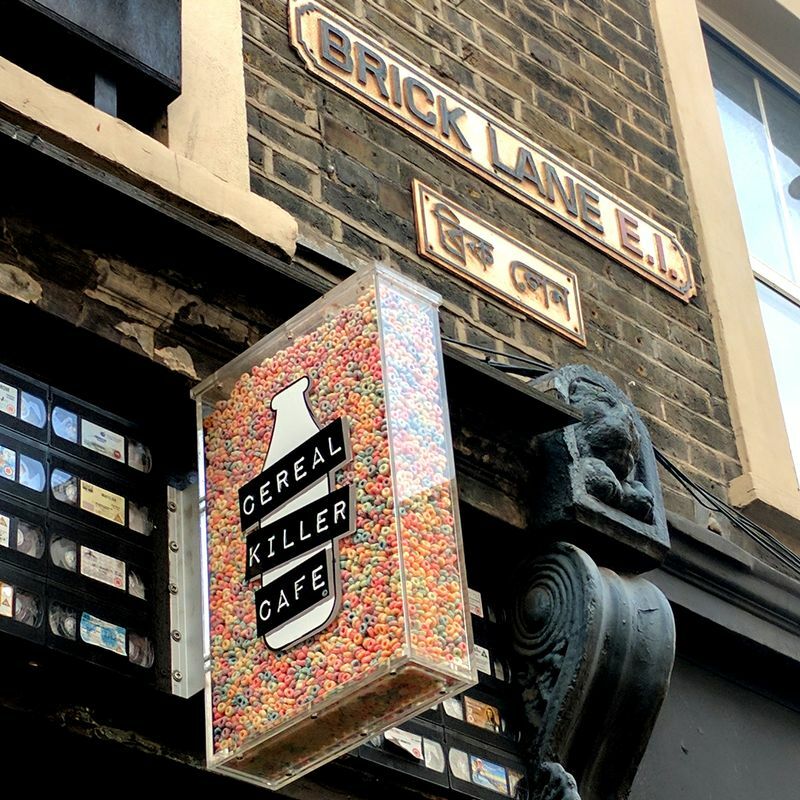 The Cereal Killer Cafe serves hundreds of breakfast cereals (and only breakfast cereals) from all over the world. If it’s nostalgia you’re after, then this is the place to be. From chocolate Lucky Charms to Reeces Puffs, an Oreo cereal from South Korea, and much more - you won’t be left wanting. But, if it’s something a little more obscure you’re after, then the crazy cereal mocktails such as ‘unicorn poop’ (Ricicles, party rings, marshmallows, hundreds and thousands, semi-skimmed milk) are sure to hit the spot. “Locally sourced and artisanal” —Words that are a hipster’s gourmet mantra. And when it comes to The Cheese Bar, it certainly rings true. This brie-lient eatery is a restaurant dedicated to the good stuff: dairy. 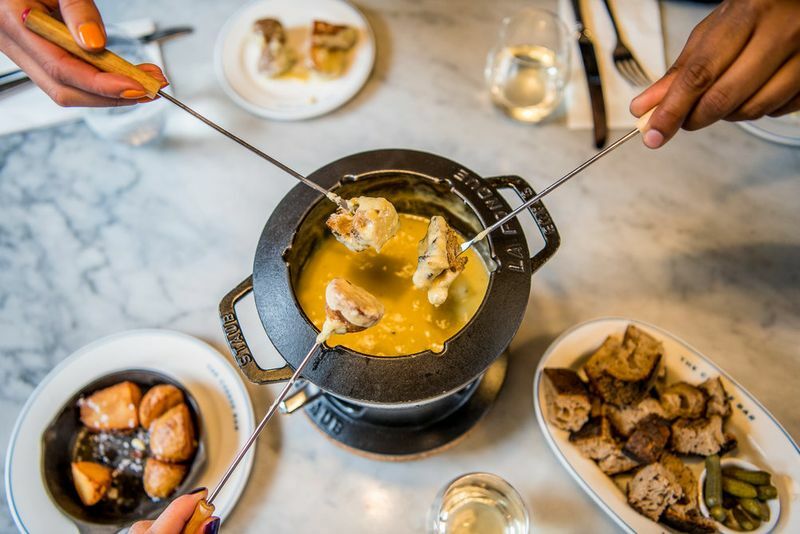 From oozing toasties to bubbling fondues and decadent poutine, The Cheese Bar has it all. There are a few gluten-free items to choose from too (even if you’re not gluten intolerant). If Willy Wonka and a hipster decided to open a restaurant together, Chin Chin Dessert Club would be it. This experimental, dessert-only bar is probably the coolest place around Camden. 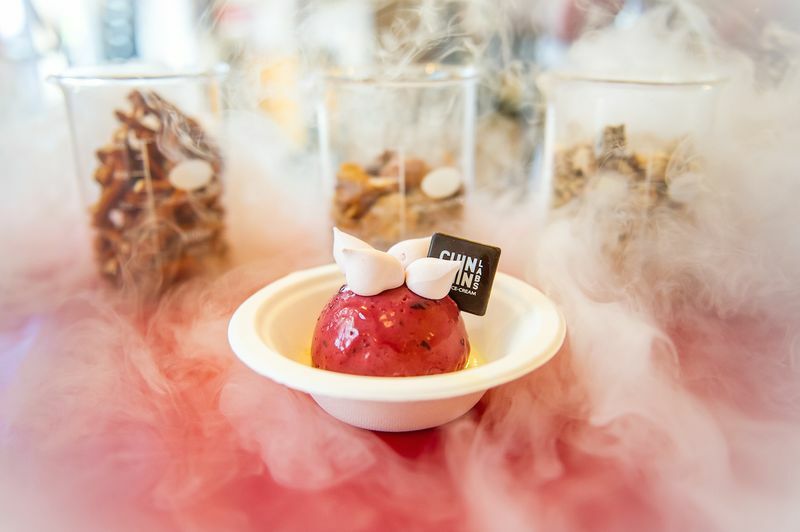 Liquid nitrogen fills the air, creating a wonderfully whimsical atmosphere to indulge in Instagram-worthy treats such as the sugar-free grapefruit ice cream, vegan raspberry sorbet, and, my personal favorite, avocado ice cream topped with yuzu cream. If you really want to mingle with the young creatives of London, be sure to explore Shoreditch. More specifically, have a coffee at Ziferblat. 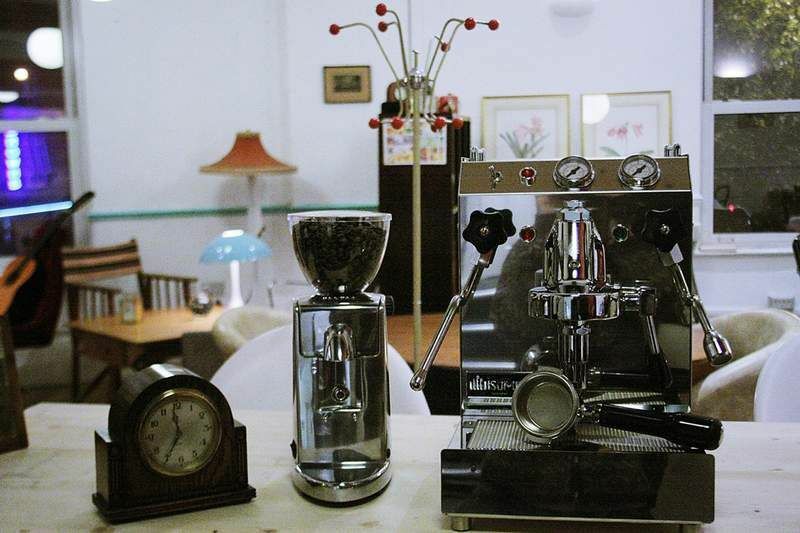 Described as a home away from home, this alternative coffee shop serves up everything you could ever crave. From breakfast to pastries, toasties, cereals, cakes, brownies, cookies, biscuits, salads, snacks and even 100mb Wi-Fi. The best part is that everything is free – you merely pay for the time you spend within its walls. Pick up a stop-clock at the counter to keep track of the passing minutes. The idea’s based on Russian community centers, with group discussions and mingling encouraged. When people consider having a drink in London, there are two things that come to mind; a pint and a cuppa tea. Thankfully, the creatives of this city have put a spin on the stereotype. Don on a yellow jumpsuit and get cooking (cocktails) at this Breaking Bad-themed bar. 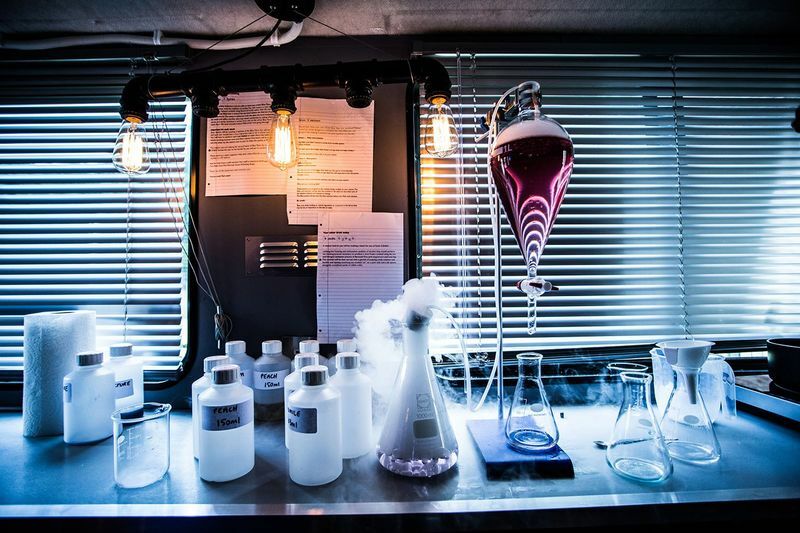 ABQ pulled out all of the stops to recreate America’s neo-western crime drama so that you get to make your own science-inspired cocktails using molecular techniques. The only thing cooler than molecular food is a molecular cocktail. Ingredients, apparatus, and instructions are provided, and the result is epic cocktails. Expect bubbling flavored foam and dry ice galore. Who doesn’t love a good cup of coffee in the morning? But, why go for just a straight up Americano when you can add a dash of hipster to it and have an out of the ordinary start to your day? Hidden behind a rack of clothing, in an unsuspecting store in Shoreditch, lies one of the most Instagrammable coffee shops in London! If you think experimental coffee is not your thing, it will be after trying one of Aida’s delicious lattes. 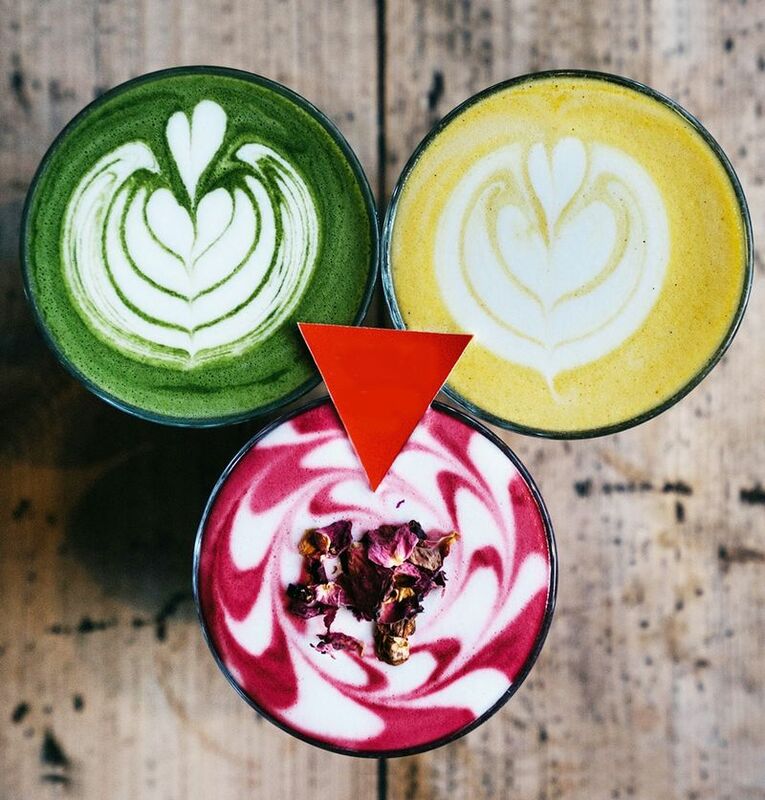 On the menu, you can expect a selection of healthy, homemade treats alongside all things latte such as Matcha, Turmeric, Chai and the infamous Rose. 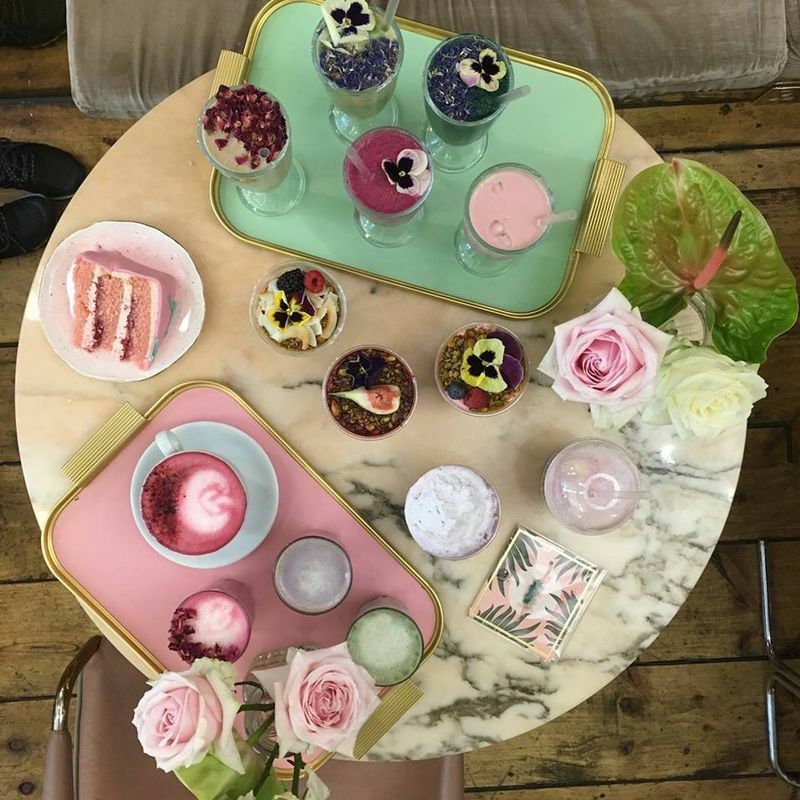 Palm Vaults has been hailed as one of London’s most Instagrammable cafés and it’s pretty easy to see why. The inside of this quirky coffee shop screams “kitch-Florida”, with its head-to-toe pastel pink interior dotted with palm-green. But, it’s the menu that stands out here. Expect beautifully made concoctions such as beetroot lattes, medicinal mushroom lattes (an acquired taste) and pretty much every other trending coffee flavor of 2018. Of course, like all things hipster, there is also the avocado iced coffee frappe. Vintage and hipster go together like avocado and coffee (don’t knock it until you try it), which is why I couldn’t resist adding this retro arcade game bar to the list. As you step inside the aptly named Four Quarters bar, you’ll be hurled back into the 80’s; a time where Street Fighter II and Pac-Man where the epicenter of life. Of course, the classic combination of arcade and console gaming would be incomplete without a craft beer. If you’re looking for a fun night out in London, make this a pit stop on your itinerary. When you’re tired of all of the high teas that come as a standard on any London travel itinerary, make sure you check out Tsujiri. This tiny café tucked away in Chinatown is the UK branch of the original Japanese tea house founded in Kyoto 158 years ago. 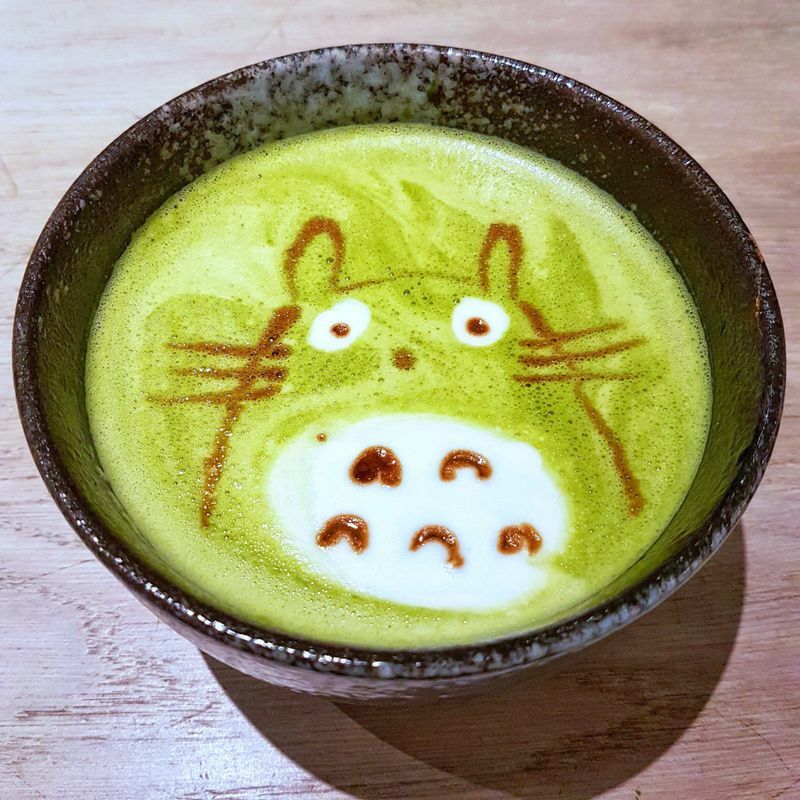 Now, as much as I love my experimental coffees, I can’t get enough of matcha - and neither will you once you take a sip of their iconic matcha teas which feature unusual latte art. Let’s cut to the chase, you’re not like any other tourist just looking to check off a list of passé attractions. You’re an adventurer, a creative - and when it comes to traveling, the only path that’s worth taking is the one that hardly gets walked. Going on a cultural tour of London’s timeless sights is a must. But once you’re done there, these alternative creative gems demand a spot on your itinerary. 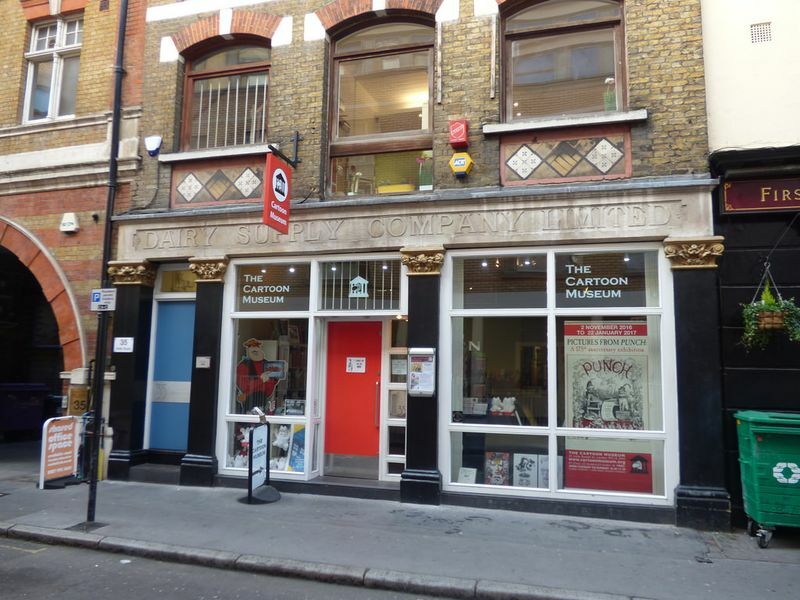 London has its fair share of epic historic museums and while those have a rightful place on your London sightseeing list, the Cartoon Museum should not be left unexplored. Just a few streets away from the looming British Museum, the inconspicuous Cartoon Museum is easily missed but worth seeking out. Spend a day oogling at a collection of British cartoon art, comic art, and caricature that dates as far back as the 18th century. You can also make an appointment to access the museum’s library, where comic book connoisseurs can study the medium further. Not strictly a gallery, this multi-purpose space beneath Waterloo station houses a concert venue and one of London’s best skate parks. If you want to mingle with the city’s creatives, this is the best spot to meander around. 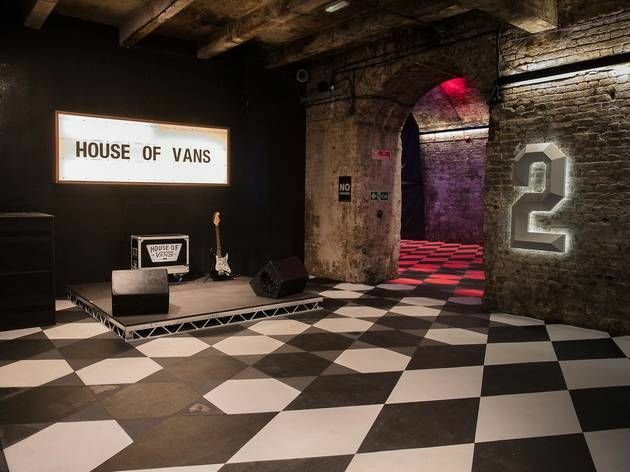 The House of Vans showcases screenings, exhibitions, and other rare artifacts exploring the links between skateboarding and print culture. Think “art in London” and images of classical portraits are sure to come to mind. But, if you want to have a taste of the city’s finest street and urban art, head over to Graffik. 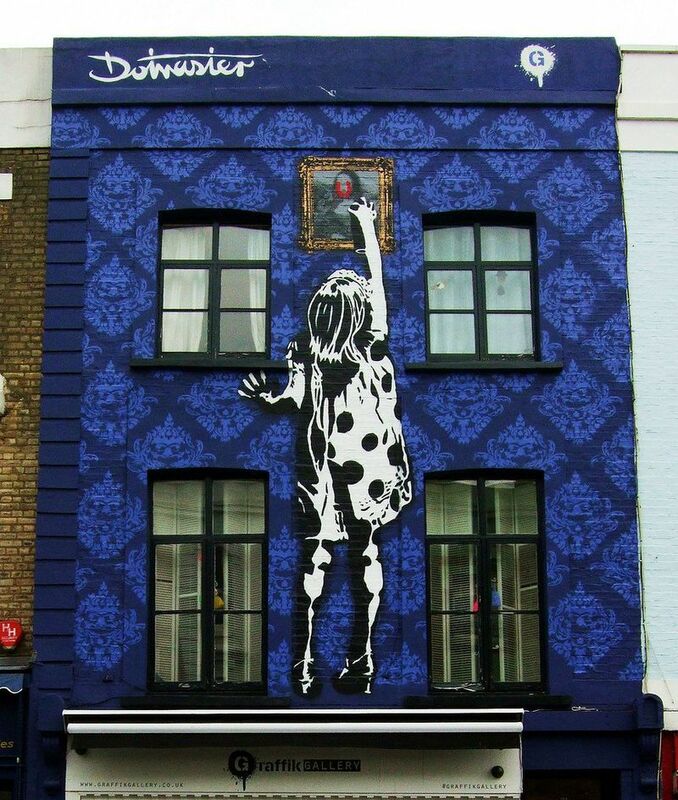 Ever since Banksy first captivated the public, street art has gained its credibility in the art world, and Graffik London has exhibited work by some of the most reputable names on the scene. There you have it! A sneak peek into the weird and wonderful attractions that await you in this ever-changing city. You don’t need a round-spectacled hipster like me to show you the way, go on a cultural tour of London and explore the best of this city! Trust me, you’ll thank me after that first sip of your avocado latte. Jodi is a Writer for Tripaneer.com, an adventure enthusiast, and a Douglas Adams groupie. She has a passion for surfing, ocean conservation, and trawling pre-loved bookstores for a leather-bound volume of The Ultimate Hitchhiker’s Guide To The Galaxy.